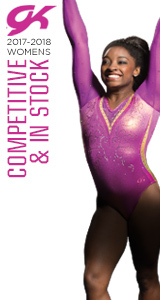 INDIANAPOLIS, March 29, 2019 – The 2019 USA Gymnastics Women’s Collegiate National Championships is heading to University of Bridgeport (Conn.). 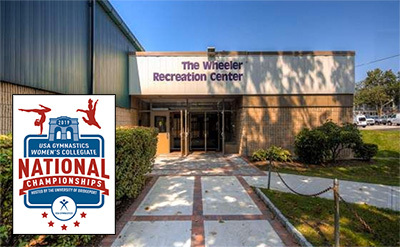 Held at the Wheeler Recreation Center from April 12-14, the three-day championships features gymnasts from 13 colleges and universities and will determine the national team, all-around and individual event champions and medalists. The 13 schools and universities represented are: the U.S. Air Force Academy; Brown University; Centenary College; Cornell University; Lindenwood University; Seattle Pacific University; Southeast Missouri State University; Southern Connecticut State University; Texas Woman’s University; University of Bridgeport; University of Illinois–Chicago; Wester Chester University; and Yale University. The eight schools participating in the team competition are Air Force, Bridgeport, Cornell, Lindenwood, TWU, UIC, West Chester, and Yale. The team and athlete rotation has been finalized, with Air Force, Lindenwood, West Chester and Yale competing at 2 p.m., and Bridgeport, Cornell, TWU and UIC taking the floor at 7 p.m. Tickets are available online and prices for each of the four sessions are: April 14, general public, $15, and senior citizen and youth (5-18), $10. For more information, go to Bridgeport.universitytickets.com/w. The top eight teams, based on the NCAA national qualifying score, qualify to the USA Gymnastics Collegiate National Championships, with the highest-scoring Division II or Division III institution nationally, according to the NCAA NQS, receiving an automatic berth. The top 16 individual qualifiers on each event who are not on a qualifying team earn berths to the championships. The top two teams from each of the two qualification sessions advance to the team finals. For the individual event finals, the top five gymnasts plus ties from each session, with a maximum of three per school, qualify to the event finals. The USA Gymnastics Collegiate Championships is for Division I, II and III schools with less than seven-and-a-half full scholarships.